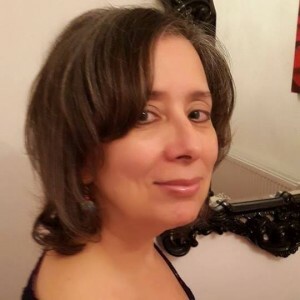 LYNN SERAFINN is a bestselling author, online marketing consultant and genealogist specialising in the families of the Giudicarie Valley. She is also the author of the regularly featured column ‘Genealogy Corner’ for Filò Magazine: A Journal for Tyrolean Americans. Born in New York, and now living in England, Lynn’s father Romeo Serafini immigrated with his parents and siblings from Santa Croce del Bleggio to the Pennsylvania coal mines shortly after World War 1. Author Father Bonifacio Bolognani cites her great-granduncle Luigi Parisi as the founder of the Trentini community in Brandy Camp, Pennsylvania in the late 19th century. Through extensive research, she has already linked together many thousands of Trentini in an extended family tree. Now her ongoing vision is to create a genealogical ‘map’ of everyone either born in Bleggio, or whose ancestors came from there, from the 1400s to the current era, to serve as a visual and spiritual reminder of how we are all connected. To speak with Lynn about how you can find out more about your own Trentini ancestry, drop her a line via the contact form on this website.